Kambree Reese McCarroll age 8 of Springfield gained her wings on May 1, 2018 surrounded by her loving family. She was welcomed into the world by parents Wade and Amanda and her twin brothers Kolby and Kelton on June 21, 2009. Kambree was considered a miracle baby from the day she was born. She was described as a loving and happy daughter, who could light up a room with her sparkling smile. Kambree was beautiful on the inside and out. Kambree attended Indian Lake Elementary School where she was in the 3rd grade. She enjoyed playing with her brothers and swimming in the summer. When she wasn’t in school or spending time with her family, Kambree enjoyed her horse therapy sessions. Kambree loved horses, pigs and her pets. She enjoyed watching cartoons, listening to music, and being sang to. Some of her favorite songs included “Shake It Off” by Taylor Swift, “Under the Sea” from the Little Mermaid, “Let it Go” from Frozen and “How Far I’ll Go” from Moana. She was treated as a princess by her parents, grandparents, siblings, nurses, and extended family. Kambree has touched so many lives in her 8 years, she will be remembered as a strong and beautiful angel. Her life was filled with happy moments and memories that will be treasured for years to come. Kambree was preceded in death by her great grandparents, Willard McCarroll, Mary Binkley, Birdie Binkley, Helen & Grover Hudgins, and Carl Lipscomb. She is survived by her parents, Wade (Heather) McCarroll and Amanda (Nic) Spear; siblings, Kolby McCarroll, Kelton McCarroll, and Savannah Kane; grandparents, Mike McCarroll, Madelyn McCarroll and Jim & Cheryl Hudgins; aunt, Brooke Hudgins and uncles Bernie Hudgins and Otto Mayo; great-grandparents, Faye McCarroll and Mildred & E.S. Rusk and a host of extended family. The family would like to thank all the doctors, nurses, physical therapist and friends that have touched Kambree’s life. A Life Celebration will be held at 10am on Saturday May 5, 2018 at Springfield Funeral Home with Pastor Linda Thompson officiating. Burial will follow at Martins Chapel Cemetery with Wade McCarroll, Nic Spear, Bernie Hudgins and Allen Keymon service as pallbearers. Honorary pallbearers will be her older brothers, Kolby and Kelton. The family will receive friends on Friday, May 4th from 3-8pm then again on Saturday one hour prior to the service. I am so very sorry for your loss. My thoughts and prayers are with you and your family. God has a new angel and you have a new guardian angel watching over you. I won’t be able to attend but will be thinking of all of you during the upcoming days. Wade, our hearts are so heavy for your loss of sweet Kambree, but the pain you must feel is certainly incomprehensible to us. Though her body was troubled by illness, her heart surely was overjoyed in having the best dad there ever was. We can’t help but think of her running, jumping, and dancing at this very moment. There isn’t any doubt that she’ll run straight to you when you see her again one day. We are always here for you. We love you, buddy. Here is some great scripture, and there is much more where this comes from. Revelation 21:4. And God shall wipe away all tears from their eyes; and there shall be no more death, neither sorrow, nor crying, neither shall there be any more pain: for the former things are passed away. My heart broke to hear this news, I know she meant so much to so many. Knowing the pain of losing a child, I wish there was something I could say or do to ease your pain, but there’s not. I have prayed deeply for you’ll and asked God to wrap his love around you. To place family and friends in your path that can help you thru the days, weeks and months ahead. To offer love, support and strength in whatever ways you need. It helps ease my sorrow knowing that when that precious child took her last breath here, she opened her eyes to the face of Jesus. He’s welcomed her into His arms and she is at peace enjoying the promises of our God. I pray as you travel this road of such unbearable grief, you’ll find moments of peace knowing this. She was such a special lil girl, loved by so many and will always be a treasure to those whos lives she touched. Love you Wade and Madeline and if there is anything Stacy and I can do, we are here for you. 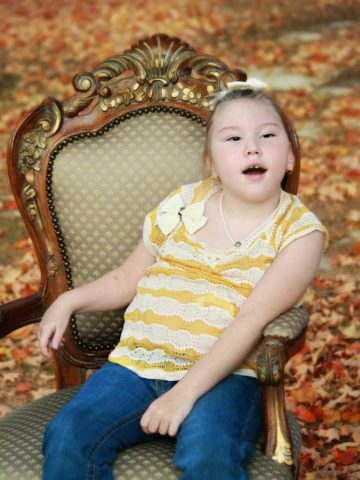 We are so terribly sorry for the loss of sweet Kambree. I hope that you and your family find peace and look back on the time you had with Kambree and smile. She was a very special little girl with an incredible family. Our hearts go out to you and we have you all in our thoughts. We are so sorry to hear of such a great loss. Prayers for the entire family. If roses grow in Heaven Lord,pick a bunch for me. Place them in my daughter’s arms and tell her tell her they’re from me. Tell her that I love her and miss her,and when she turns to smile place a kiss upon Kambree cheek and hold her for a while. Because remembering Kambree is easy, but there’s aches within my heart that will never go away. She got her wings and she is having s great time running around playing and making new friends. Love you may God be with you and your family . Love you all. I am so sorry for your loss. God needed a new little angel and your little one was his choice. He felt that she had finished her work here so it was time for her to go home and be free of all the pain. She will always be watching of all of you and she loves you all. My she Rest In Peace for eternity. I am so sorry for the loss of your baby girl. My heart breaks along with yours. Heaven gained a special angel. Continued prayers for all of you. So sorry for your loss Amanda . Praying for you! So sorry for your loss-will keep the family in our prayers. So very sorry for your loss George. Love and Prayers for peace.